You can create your own life that works with a proven business running Bush School in your area. At the end of one year of training, you will have all the tools to have autonomy and freedom, doing something that you love. We'll teach you how. 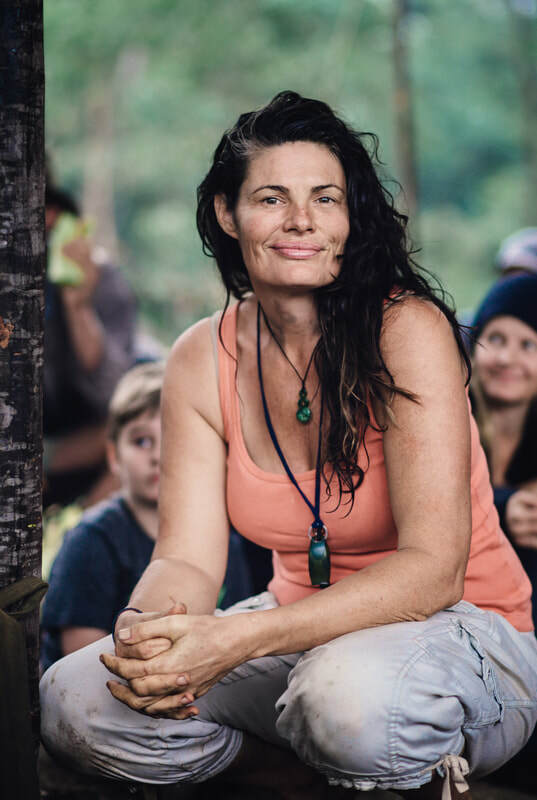 And learning it all is nothing but good, muddy fun with an amazing tribe of beautiful humans who will become your friends for life..
Do you want a career helping people to be at home in the wild? Would you like to be trained and mentored into creating your own nature mentoring business, where you are the boss, you can take holidays, structure your own time, and have an income that lets you do what you want, when you want? Maybe you are an existing educator, frustrated in the current system where teachers are overworked under-resourced and the dominant culture is one of shout and shame instead of rapport and relationship. 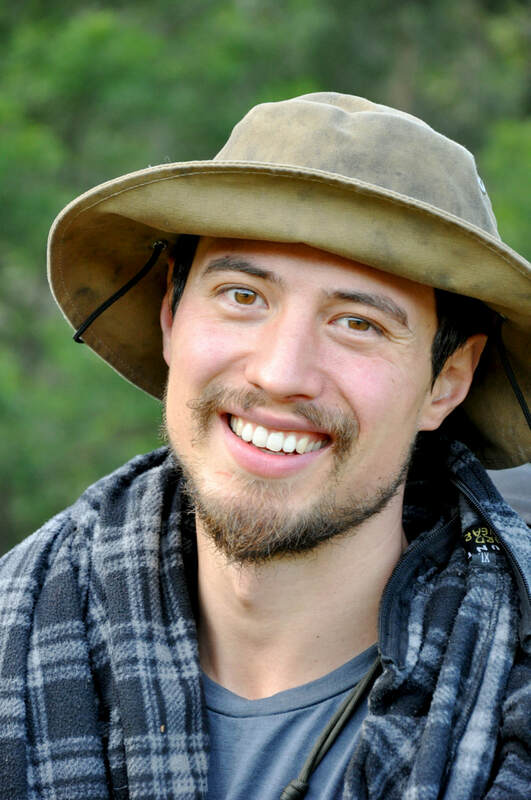 Maybe you're just not suited to conventional 9-5 work, and you love the wilderness, have great people skills, love kids and want to bring it all together into a life where you have autonomy and a business you can take anywhere. No more working crap jobs to get time to go bush... instead, this can be your life; you can throw yourself into your own self generated career offering bush school days in your area. You can work as much or as little as you like. As little as four bush school days a month can give you a viable income, wherever you live, and we'll show you how. 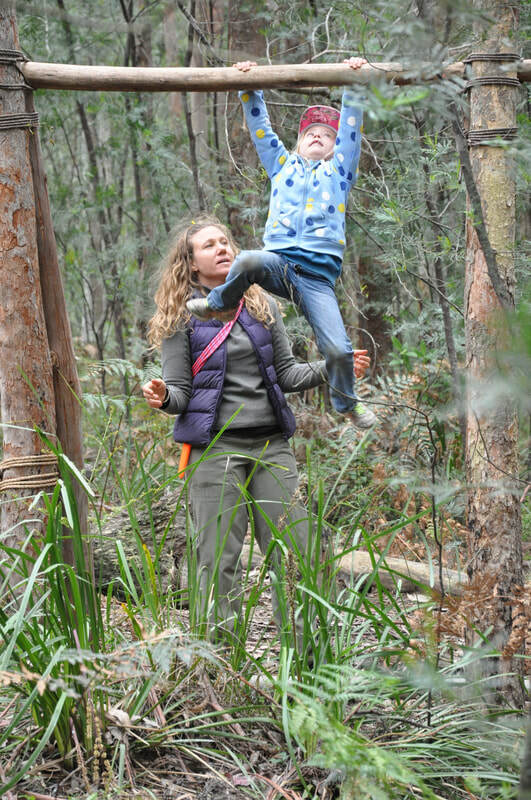 Bluegum Bushcraft was the first nature mentoring family camp in Australia, and is still the largest and most successful, giving rise to a host of other programmes and camps around Australia. We've spent years developing a business model that balances the needs of the participants while teaching core educational values and giving trackable results. There is a host of research in the zeitgiest about the benefits of nature connection for young people, and about Nature Deficit Disorder as a factor in the increasing isolation and disconnection of young people. At Bluegum we have developed a curriculum based on the wisdom of our hunter-gatherer ancestors, looking to ancient knowledge in the mentoring of young people into a life that is nourishing and fulfilling, with different strategies through the transition stages from childhood into adulthood. In our camps, all the activities fit within this map, and during this year long training you will learn how to teach this curriculum in the context of Bush School. This isn't just a business course; we have created a programme designed to help you know yourself deeply on a physical, energetic, intelligence and spiritual level, and through this gain skills for processing your own 'stuff', holding space and facilitating transformation in others. All of our courses are about practical, real life skills that work. We know that to facilitate in a healthy way this we need to be able to journey into our own transformation. Gina and Lee have decades of experience helping people in their personal journeys, and bring this wisdom to the Nature Mentor Training. It's a business training, a nature skills programme and a personal development course, all rolled in to one. There is nothing like this on offer anywhere else in Australia. So if you want to grow as a human, gathering skills that will help you navigate life, and learn how to have your own business bringing nature connection to others, this could be the course for you. We teach you the nuts and bolts of nature mentoring and nature connection so that you can gently and skillfully open the door for others to start to be at home in the wild. You'll learn through your own journey with physical skills how to teach the skills that hunter gatherers grew up with: walking invisibly though the bush, listening to the language of the birds, seeing with owl eyes, making fire, building shelter, playing games, stalking and camouflage; all the things you'll be teaching the kids. The experience here is invaluable, and worth years of book learning. You learn by doing. We stream you into different areas of programme management, and you'll learn things like coyote mentoring, storytelling, group facilitation, space holding, and gain practical, hands on experience running a rewilding programme with families who may become your first Bush School clients further down the track. ​You sleep in a tent, bathe in a river, and eat around a fire. You wake up to singing and music every morning. You meet people who will be friends for life, hold space for kids to grow in ways they may never have experienced, and bring real, tangible change to the people around you. The quality of your presence and attention is the secret ingredient in the success of these camps, bringing transformation to families in ways that we still hear about years later. At the end of camp you will be different. Bigger, brighter, more skilled, more exhausted, more fulfilled. These camps are a personal development workshop for the mentors. This modality is a revolutionary alternative to relationship management, developed by Lee Trew. In Rapport Based Relating we finally find an alternative to the 'shout and shame' modality that is so common in educational institutions, and move into a place where everyone gets their needs met, where you see the kid in front of you and develop a relationship so that they want to move in the same direction, co-create, and have autonomy. Kids respond to RBR by relaxing, feeling heard and held, becoming more responsible and easier to negotiate with. With RBR we recognise that every young person's voice as important as every adult, and by using a specific series of tools, we can turn around conflict so that true transformation is possible. ​You'll do a Vision Quest, an ancient ceremony of solo time on the land, to access your deeper purpose and move whatever is in the way. To be a good facilitator, we need to know our blind spots. Understanding our dynamics of power in relationship is vital to be a responsible space holder. This workshop takes us into our patterns and helps us move into healthier power dynamics with ourselves, our loved ones, our work mates and the kids in our care. ​This workshop on archetypes of personal power and power dynamics helps you to more deeply know your own blind spots and be able to work with a group in a way that is healthy. 5Rhythms® is a dance meditation practice that gives a place for us to know about ourselves; our triggers, our stuck places, and move these areas of stuckness so that we are more embodied and better able to hold space for others. It is a fantastic place to do our homework so that we become better humans in our journey of life. Once you are enrolled in the Nature Mentor Training you have automatic entry to any of these sessions. We spend a weekend going through everything we've learned about running a bush business; how to manage overheads, get insurance, use social media for marketing, tailor your website, write copy, manage logistics. We set you up for success. Our business model works and it won't bend your head. Bush school days give you experience with the practice of running the Bush School programme. You are eligible to attend any Bush School days during your period of training. We recommend coming to as many as you can. There is an online group for sharing of information, experiences, challenges and homework. What Sort of Business Is Bush School? Bush School is a programme where you bring together a group of kids for a four hour session of Rewilding. 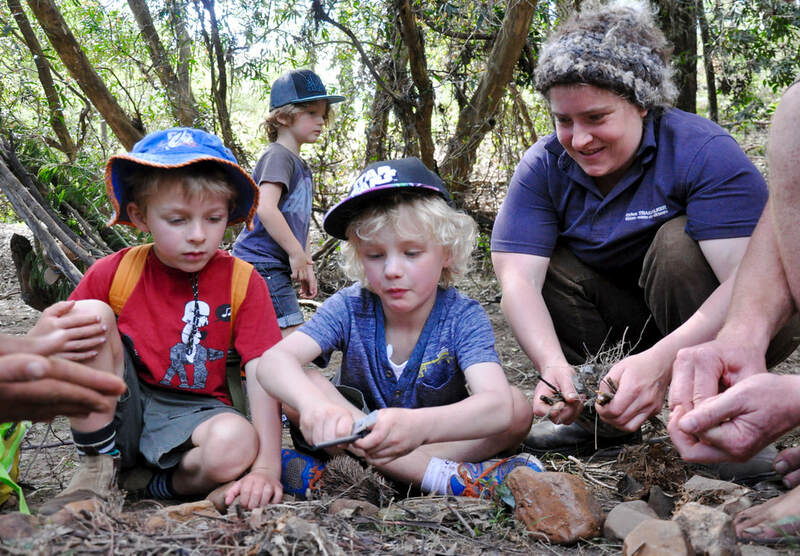 In these four hours you works through various elements of the Bluegum curriculum, all of which is designed to invisibly foster nature connection. The kids get to come out and play in nature, getting off their devices, relating with each other and the bush. You can offer it in parks, national parks, state forest... all you need is a nice bit of bush. Because it is a day programme, you need very little infrastructure. It is flexible, rewarding and the transformation that happens in these kids means the parents bring them back every time you offer it. You get to grow into your business and focus on the areas that are your strengths. Maybe you are a natural storyteller, or you love tracking. Maybe you love playing games, or weaving baskets. Whatever your interests, there is a way to build them in. You bring in other mentors to help you run the programme, and they bring their strengths. We're offering a way to get out of the rat race of 9-5 drudgery with a proven business model that you can apply wherever you live, whether it's the middle of the city, or out in the rainforest. As long as there are families around you, there will be people hungry for what you offer. Bush School is a low overhead business which you can tailor to suit your own life. If you only want to work a couple of days a month, you can. If you want to dive in and bring it to local schools, you can. If you want to offer it as a feature for homeschoolers in your area, you can. All you need is a good heart, the willingness and ability to see the kids in front of you and respond in the moment to their needs, the skills of Coyote Mentoring and Rapport Based Relating, an ability to know your own triggers and the tools to be able to work your own stuff in thew moment, no matter what is going on around you, the business and marketing skills that we will teach you, the amazing Bluegum Curriculum, which will give you the educational structure for your programme, and a love of wild places. At the end of this training you will have all of these things, wrapped up in the Bluegum Qualification, which you can use on all your promotional material. Bluegum Bushcraft is the most respected leader in this field. Once you have spent a couple of years running your Bush School, you may wish to come back and do the next level of training, which is in all aspects of running a Rewild camp. You need to complete all the workshops listed above to gain your qualification. If you miss any, you'll need to come back next year to finish them. Dates of eligible workshops. Check colour codings for different locations. Purple... Not included in the Training but so cool we reckon you'll want to do it as well. Gina EnTrance 5Rhythms Sydney. Optional. Crew welcome. NOT INCLUDED IN THE TRAINING but we thought you'd want it for your calendars! We are passionate about helping people find their autonomy, and create a life that works. We keep seeing the amazing mentors on our camps, who then have to go and work in jobs they hate to be able to come on our camps, where they come alive again. The Bluegum Nature Mentor Training is our answer to this. We want you to have a nourishing life of purpose and vision, with the freedom to do what you want, when you want. We want to give you a way to earn your own money, doing something you love, and helping young people transform along the way. We will give you all the support we can in your journey. So get in touch, ask us a million questions, and let us know how we can help you to make your dream a reality with our Nature Mentor Training. OMG. I have been waiting for this my whole life. how do i enrol? You'll need a Working With Children Check, which you can get online. You'll need to be able to travel to the NSW South Coast for many of the workshops. There is a train to Bomaderry, and carpooling can be arranged from there for those students without cars. 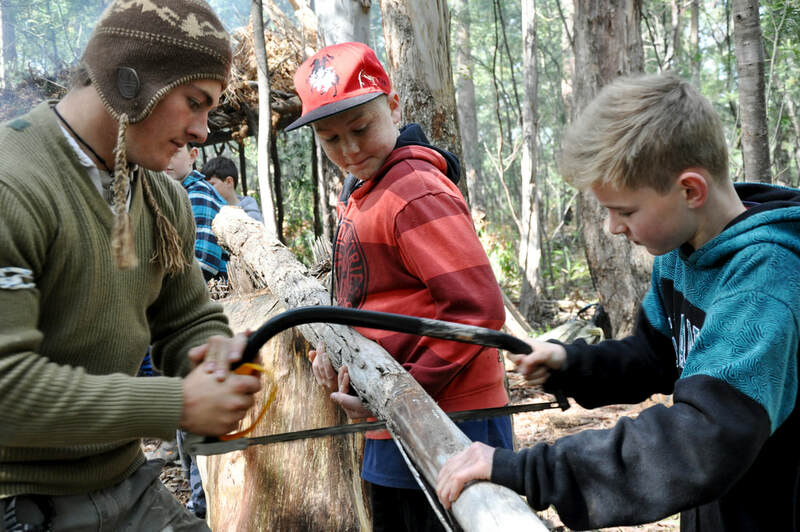 Most of the workshops are during weekends to allow students to be able to work, but you'll need to take 6 weeks during the year, during NSW school holidays, to attend your required Rewild Your Child / Rewild Tribe camps for hands on training, plus another week for a Vision Quest. The Training runs for 12 months, but if you don't complete all the required workshops in that time, you can make them up the next year. You just won't be qualified until they are complete. I NEED FINANCIAL SUPPORT TO BE ABLE TO ATTEND. WHAT SHOULD I DO? Give us a call to chat about how to make this work for you. We want you to be able to participate if this is a calling. I would love to attend the Training but have commitments that mean I may miss a couple of the workshops or calls. Can I spread it over 18 months to two years? Yes. We’ve designed the course so that by the time you finish you will have all the skills you need to start your own Bush School business. And we know people have busy lives and need to work. We get it. The course is designed as a 12 month study programme. The best way to do it would be over the regular year, but if you need to extend, that’s fine. It just means you don’t graduate until you have completed all of the material. You can attend make up courses and camps all the next year. I may miss a group call. Is that ok? During the year we are ok with you missing one group call. The group calls will be recorded, so you can listen later. You will still need to catch up any homework, and there may be some extra work to make up the call. I would love to do the Training, but I have kids. Is there any way they can come along? Some workshops during the year just aren’t kid appropriate, like the Rapport Based Relating weekends, and the Heart of the Hunter/ Heart of the Huntress workshop, and Vision Quest, so you’ll need to find someone to look after them during these programmes. The Nature Mentor weekends and the Business Blast Off will have the possibility of kids over 5 years old coming along with you. Any parents who wish to can chip in to pay for existing nature mentors to look after the kids during the workshops. This is an external cost, not included in the Nature Mentor Training fee. Your kids can come free with you to Bush School days. 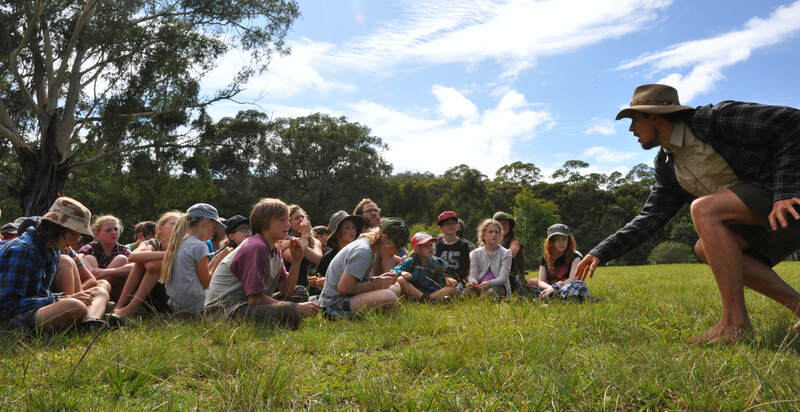 When mentoring on the Rewild Your Child / Rewild Tribe family camps, you can bring your kids, but you’ll have to enrol them at the normal fee to participate in the RYC programme. We waive the Tribe fee, saving you $250 per camp. We also pay you a travel allowance of $150 per camp. WE STRONGLY RECOMMEND THAT YOU BRING A CARER OR PARTNER TO HELP YOU LOOK AFTER YOUR KIDS WHILE YOU ARE MENTORING ON CAMP. Mentoring is an intensive process, and you will be undergoing extra training and responsibilities. If you have to parent as well, it will be challenging. For your first two camps we suggest you don’t bring the kids, while you land with us and get the feel of what we will be doing together. If you want to talk about this, give Gina or Jami a call. Can I pay the Nature Mentor Training fee off? Yes. Talk to Jami about payment plans. You will need to have it paid off by July 1st 2019. I really want to do this but I can’t afford it. Is there some other exchange I can offer? Money. It’s such a dance, isn’t it. Part of being in the world is being able to see money as a flow of energy. Part of the online mentoring is looking at ways to change your patterns about money. And to realise that there is nothing wrong with asking for money for the amazing things you do. We’re starting here, by letting you know that there is a financial exchange for the learning you will receive with us. To make things easier, we offer payment plans. All you need to do to sign up is find $1500. That’s pretty much what you’re paying for your car registration. The Nature Mentor Training is extremely affordable, for the quality and quantity of material and mentorship offered. Most course of this nature would be charging you $10-$15K. We are asking $5K for a full year of training. And considering you receive $150 in travel allowance every time you mentor on a Rewild Your Child Camp, this comes down to just over $4K for the year. That’s less than $80 per week. Just so you know; the price will never be this low again. If I change my mind half way through the year, can I get a refund? We have designed this training to be flexible and affordable. We ask a high level of commitment from you. There are no refunds, however there is a lot of flexibility so that you can finish the training at your own pace. In our experience, when something is on our path we feel it as a deep rightness, a bone solid YES. If you don’t have the deep yes, this might not be for you. If you do, then welcome aboard. The more committed the group is, the more Lee and I respond to your need, and the deeper we will all go. Let’s create something amazing together. What other study can I do during the year to support the Training? We will be giving you extensive homework to deepen your practices in learning how to connect with with the bush in your local area. We will give you reading lists and recommended ancillary studies. There are some books that are required reading; Jon Young’s Coyote’s Guide to Nature Mentoring is one of them. There are also some online Jon Young resources we will recommend you sign up for. The Richest Man In Babylon is another book that you will need to read asap. You could probably go and buy that right now, and start to change your financial situation right away. We will give you a yummy list of resources to help you dive as deeply as you need. Whatever you are passionate about, we will help you increase your skills and resources so you can mentor in these areas. If you are keen on primitive pottery, we can point you in that direction. Eco-dying, baskets, tracking, bird language, fire making… Mentoring is a place where you get to shine your own unique gifts. We’ll help you discover and nurture whatever those are. This is an ongoing process, during your individual mentoring sessions and group/online gatherings. Is this a diploma? How does it compare to a Cert IV at Tafe? No. We are not a Registered Training Organisation. This is not a government recognised qualification. We have created a course to meet a real need in the community. The Nature Mentor Training is content and process rich rather than a certificate that sits in your drawer and has little practical use. We’re interested in you being able to do it, in real life. We just want to pass on to you everything we have learned about how to help people learn to be at home in the wild. Cert IV quals will give you knowledge that can absolutely enhance what you learn with us. However, you don’t need any prior experience or learning to get what you need from this. Think of it as a year of learning on the job, in real time, with real experience, from people who are actually making a living from teaching nature connection, in a real business. So you can have your own business. If you are after a recognised qualification, this probably isn’t for you. But if you want a life that works, it could be just what you need. 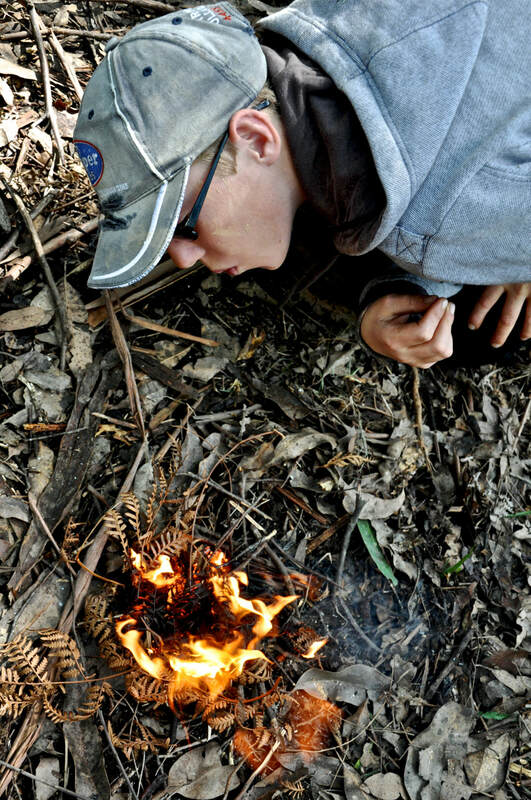 Bluegum Bushcraft is the industry leader in Rewilding Camps, and a household name for people who are interested in nature connection in this way. The Training is designed to give you real, practical, tangible skills and tools for success in your business. At the end of the course you can use our logo as a registered Bluegum Bushcraft Trained Nature Mentor, on all your promotional material and advertising. I’d like to mentor on the January Camps and have it count to the Training. Is that possible? Yes! We would love love love you to come and mentor in January. It is the fastest way to start skilling up and learning the nuts and bolts of Nature Mentoring, as well as meeting the Bluegum family. You’ll tick off one or two of your six prerequisite camps, make a whole lot of new friends, and be way ahead with your mentoring skills for the launch of the Training in the first Nature Mentor weekend at the end of Feb.
We pay you $150 travel allowance, every week you mentor on a RYC camp, and we feed you on the nights of the Rewild Your Child programme. Let us know if you are keen and we’ll get you the information asap. Mentor dates for January camps are Jan 5-11, 13-19. If you can make it for both, wonderful. If not, one is great too. I live in northern NSW. Is anyone else coming from this way? Are there any workshops here? Most of the workshops are in the Budawang Wilderness Area, inland from Milton/Ullladulla. However there winter workshops in the Mullumbimby area and Central Coast to give northern dwellers a break from all the travel! At this stage we have a couple of enrolments from up north, so carpooling is also a possibility. We want to make this possible for you, so if you live more than 8 hours from camp, talk to us about an extra discount, to help with the travel. Where exactly is the South Coast NSW venue? If you google Yadboro Flats Campground you’ll get the property very close to the one where we hold the camps. We send you detailed directions, but this gives you something to go on! Can I get my 2WD car in to the venue? Do I have access to my car during the workshops for camping support? Yes. You camp with your car, so you can have your esky, cello, djembe, fire kits, backpacks, basket materials; whatever you need to be completely comfortable. Nope, there is no wifi or phone reception. There is a main house on the property, 1km away, that has a landline for emergencies. The nearest hospital is an hour away. During the bush workshops, what happens with food and accommodation? The format for our Rewild Your Child camps is one of self sufficiency. You bring all your own camping gear and food (we give you suggestions for the best ways to manage this) and we provide communal meals at night, so we all eat together. We suggest you bring any musical instruments as well. Just because it’s a beautiful way to come together, and music is an important part of bringing together a community. Don’t worry if you can’t play an instrument, though. We’ll have you expanding your creativity in many, many ways. What are the arrival times for weekend workshops? We give you Friday afternoon to arrive, and begin with the evening meal on the Friday night, at 5:30pm. Workshops will finish by 4pm at the latest (sometimes earlier) on Sunday, to give you time to get back to your lives. Can I bring my dog, cat, ferret, goat, pet swan? We gather in a national park, so sorry, you’ll have to leave your beloved behind. If I want extra mentoring, is that possible? Absolutely. You receive four personal mentoring sessions during the year with Lee and Gina. If you need more you can book them for a discounted fee, or if a group of you want to organise extra sessions and chip in, you can do that to make it even more affordable. Who do I contact with questions and logistics? Jami is your first point of contact for questions and logistics. She will be doing the Training with you, with her new baby in tow, so she will be in and out a bit. She has mentored with us at Bluegum for years, and is an experienced Nature Mentor and all round gorgeous human. Gina travels overseas teaching workshops four months of the year, and can be a little hard to reach at times. Her number is +61412181943 and email chickamazon@gmail.com. If you have a personal question, please reach out, just know that it may be a few days before she gets back to you. Lee’s number is +61466535549. His email is lee@bluegumbushcraft.com.au. Again, go through Jami first, but if it feels like he’s the one you need to speak to, please get in touch. Once you know you want to attend, fill out the application form to your left on this page. We review your application and let you know within a few days whether you have been accepted. There is a gorgeous group shaping up for this year’s Nature Mentor Training. We are deeply honoured that you have heard the call, and are choosing to join us. Thank you for your passion and commitment. 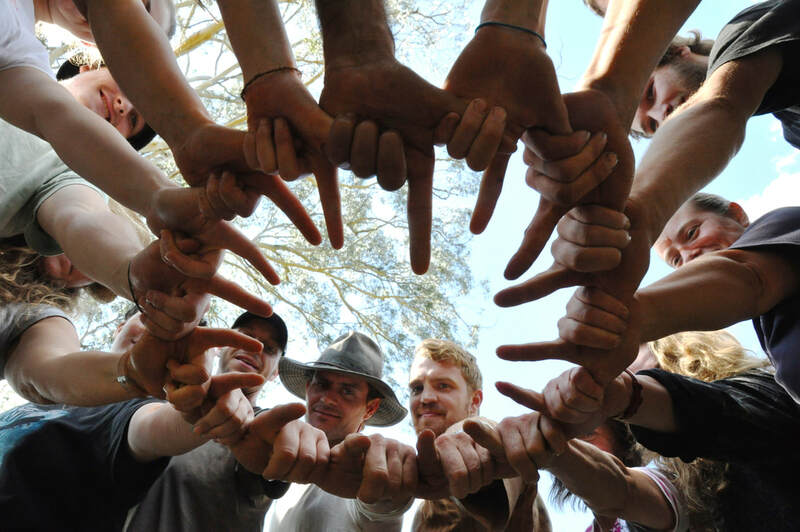 We are so excited to journey with you, and help spread the benefits of nature connection out into more communities in Australia, as well as giving you the skills to have your own business doing what you love, like we do. If you have a question that hasn’t been answered here, please send Jami an email and she’ll get onto it asap. We can’t wait to begin our journey with you. Lots of love and a dingo howl.